While the cash register cha-ching is an endearing sound, a retail establishment owner or manager has to deal with tracking inventory, analyzing sales figures, keeping customers happy, and managing employees among other things. For that reason, a business needs a customized retail POS system, to help them perform daily tasks and streamline their operation. Whether you’re a small retail business, a franchise, or a large retail brand, your point of sale system needs to be reliable, flexible, and easy for employees to learn and operate. In this guide, we’ll discuss the top retail POS systems on the market. 1.8.2 Who Is Epos Now Ideal For? Vend is perfect for smaller businesses just starting out, but it can be tailored to growing and expanding businesses as well. Vend offers all the basic features that you would need from a POS system. Its multiple tiered plans make it a great choice if you find your business growing. Vend has been in the Retail POS system market since 2010. Since then, the New Zealand-based company has grown to serve over 15,000 enterprises in 100 countries. 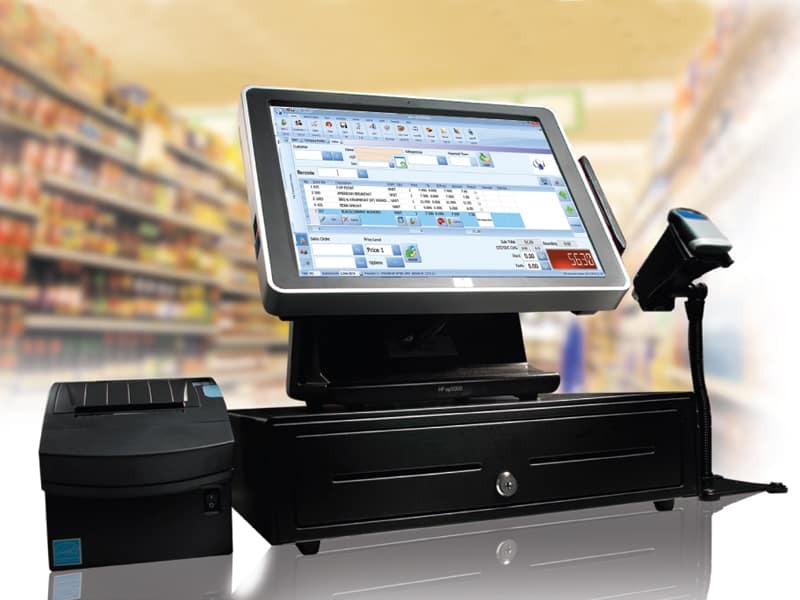 It is undoubtly one of the most reliable POS systems for retail. Vend offers all the POS features a retailer of any size would need. With Vend, you can easily maintain price books, manage inventory and your customer list, and design your own branded gift cards. Vend also features employee tracking to manage cash flow and employees better. Its e-commerce functionality has become one of its hallmark features. The interface fits screens of all types and sizes. The content management system enables users to easily add products and pages, improve functionality and rearrange design elements. As a solid retail POS, Vend also makes inventory and client management simple. You can set prices based on client type and location, and importing and exporting inventory is child’s play. Vend’s starter plan costs just $69 per month without an annual contract. You are offered unlimited clients and products. Their advanced plan is also geared towards relatively established small retailers. You also get 24/7 email support with both. The advanced plan costs $79 a month, and you get unlimited products, clients and user accounts and e-commerce functionality. Vend also has another plan, which is completely free. This one enables ten products and up to 1,000 customers. This is a great choice for a very small business just starting out. Naturally, you don’t get professional customer support with this one. Their 30-day trial is another awesome advantage. If you’re just starting out and not sure if Vend will be the right POS for you, watch the demo first, sign up for a free trial, and get a feel for the system before making a commitment. If you want priority phone support, you’ll have to pay an additional amount regardless of the plan you are on. The free plan doesn’t offer phone support at all. If you want, you can opt for one-to-one support or look at Vend U if you’d rather learn the ropes on your own. Vend is a cloud-based product using HTML5. In the case of an outage, it uses offline cache functions which make it possible to cache most data and keep processing orders even if you’ve lost Internet access. No POS system is perfect, and this goes for Vend too. Their in-store POS cannot support purchase orders. As a result, you’ll only be able to configure commission payments on delivery or pay for the display of demo products instead of paying up front. This could displease some retail store owners. 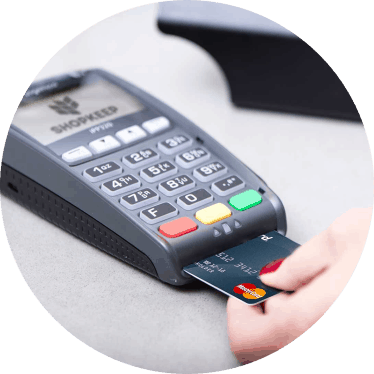 Vend is a flexible, well-priced and scalable POS system tailored to retail businesses of all shapes and sizes. We truly believe it is the best retail POS on the market. Lightspeed has been on the market for over a decade, but their Retail POS system was launched closer to 2013. Despite that, it quickly became one of the top-ranking POS systems for retailers. Lightspeed makes it possible for clients to pay however they want on the front end, including by means of store credit. You can also easily place items on layaway or on hold and apply discounts. On the back end, it also features a myriad of functions such as managing inventory, purchase orders and staff. Among their newer features is merchandise return management, which comes in handy when you have damaged goods or shipment errors. This small business focused retail POS easily tracks unit costs and shipping fees, ensuring good budgeting. If you have more than one location, you’ll enjoy complex inventory functionality. You can transfer merchandise between sites, and you have full visibility of all goods in stores and in the warehouses. You can also set varying prices on a location basis for the same SKU, helping you maximize your profit margin. If you’re a retailer that offers not only goods, but also services, Lightspeed Retail can help you create quotes or estimates, service and repair orders, and determine labor costs. The cheapest Lightspeed Retail plan is their small plan, which costs $99 a month for a single register with access for up to five staff members. The medium plan costs $169 a month and offers up to two registers and access for ten employees. They have a large plan too – the plan you select depends on the size of your establishment. This POS is relatively expensive, and not only in terms of the present review. You will need to pay more if you want to add more registers or employee accounts than your plan allows. On the upside, even the smallest plan includes 24/7 support, free software updates, multichannel capacity and secure cloud backups. The price of this system is one downside, as mentioned. It offers a lot of features and can serve as an all-around POS option, but this makes it a relatively slow software. It’s hard to make spontaneous, unplanned price or inventory adjustments because of the complexity of the system. Given the price of Lightspeed Retail, it’s better-suited for more established enterprises. Smaller retailers will find more beneficial options as far as the cost goes. Lightspeed Retail’s myriad of features also makes it attractive for companies with a large staff and lots of inventory to manage. Square POS is an open-access, lightweight retail management system geared toward small business owners. Square started their humble company by pushing a small and versatile card reader into the market. They also support this hardware with full-feature POS software. They are relatively inexpensive to get started with. To run Square's POS, users will need an iPad or Android tablet and a card reader. Square POS has no monthly fee with the free version, which still has enough features to get a retail business off the ground. Square’s retail option ($60 per month), comes with additional features such as multi-location inventory management, employee accounts and permission, full Square hardware compatibility, vendor lists, low-stock alerts, and more. Square prides itself on the fact that they provide transparent pricing, simplicity, and comprehensive support. Square’s website is chock full of resources and even offers a customer discussion board for discussing features and resolving issues. This feature can’t be overstated, as the world of POS software is often murky and intentionally vague. Square lightens the load by being very transparent in the capabilities and pricing of their software and hardware options. This free to download POS was designed for usability and features user-friendly drag and drop items and categories. Square also offers a slew of add-on features, like payroll functionalities which will add $25 per month and $5 per employee to the bill. Square was ultimately designed with brick and mortar stores in mind. It is an option for those who are looking for simplicity without all of the added bells and whistles of an expansive enterprise POS system. With this, comes the inherent drawback that its features may not fully suit a large multi-store operation. 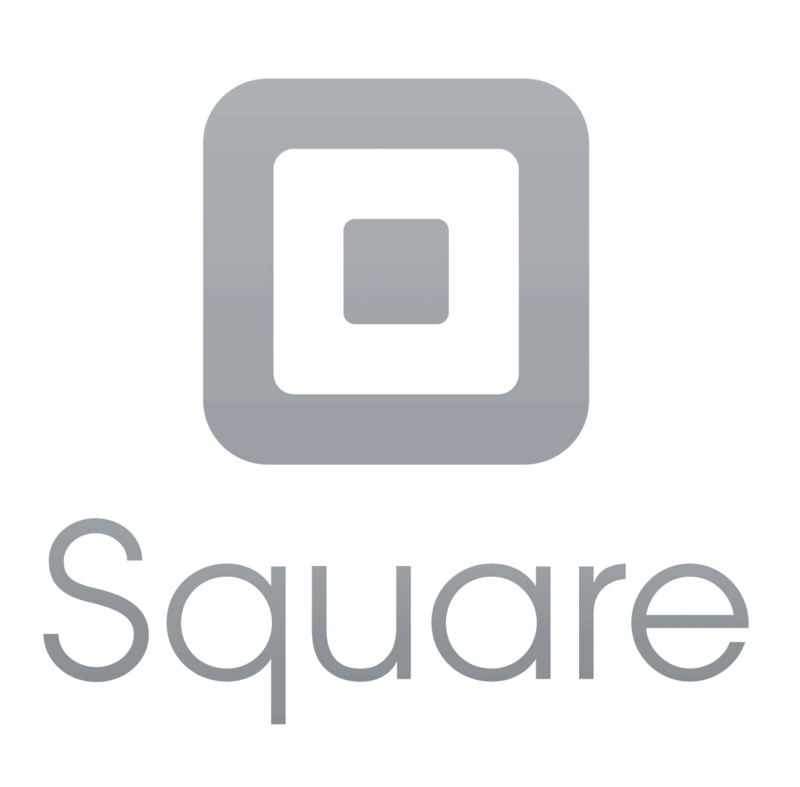 Some Square users have also encountered problems when making large transactions ($3,000 or more). Online retail store users may also not like the increased price per swipe percent charge that is applied to all online transactions. Shopify was originally designed with retailers in mind. Started up in 2005, this app has become one of the best-known in its class and remains a favorite among retailers of all shapes and sizes, especially those with web stores. Unlike some other POS systems, you get web store functions when you sign up for Shopify regardless of which plan you get. To make it easy for your clients to buy your products online, set up a “buy button” feature for your website. It is possible to sell through social media channels such as Facebook, Twitter, and Pinterest among others. This system also makes your online and traditional brick-and-mortar store simple to link. You can link online ordering with the POS system and generate discount codes for clients to use as online coupons while shopping in your online store. Shopify is a hybrid system. Its online store and inventory are cloud-based, but most of the data generated through the POS app is saved locally on your device. If your Internet is down, you can’t process card transactions. This system lets you create customer line items, integrate seasonal or special offers and automatically calculate the tax based on the site of your store. Your register is fully portable as everything is based in an iPad. Shopify’s back-end features include creating customer profiles, tracking register activity and completing order histories for both in-store and online among others. You can also organize and track unlimited inventory items. Shopify is one of the best-priced retail POS systems on the market. Their most basic plan costs just $29 a month. The pro plan gives you more features, including gift cards and professional reports, at $79 a month. The data in the table above applies for the basic plan. You pay nothing for two weeks if you sign up for a free trial and don’t have to provide any credit card information. For an extra amount, Shopify experts will offer you high-level, individual support. This system does not offer payment processing. You have to pay an extra $19 up front to get their program Shopify Payments, which is the only integrated payment processor available. This system is a good choice if you’re a retailer who wants comprehensive online store functionality. Its initial price is low, but the extras must be paid for additionally, which is likely to accumulate over time. This is why the system is best for medium-sized businesses. ShopKeep is one of the simplest retail POS systems on the market. It is most suitable for smaller retail businesses, being relatively cheap, quite simple and very efficient. It’s also no stranger to the market – Shopkeep has over 22,000 retail clients, making it the biggest small business POS system available. ShopKeep has staff and inventory management and generally every front and back end feature you’d need. It is easy to ring up items, accept payment, add modifiers, give refunds and make returns. It’s also possible to make discounts at order and item level. ShopKeep also offers in-depth worker shift reports that show you not only what items are selling, but who’s selling them. You can see which the busiest hours of the week are to help set the staffing schedule accordingly. ShopKeep’s analytics and inventory functionality are its most impressive features. The analytics show which items are selling and which aren’t. This way you can decide what to restock and replace better. The inventory functionality feature helps you track quantities of each item, generate a report with the reorder criteria in detail and set reorder points. You can import inventory in bulk or item by item. ShopKeep’s system costs $69 a month, which includes 2 months of free support from a ShopKeep expert, and continued 24/7 customer support thereafter. Given its price, it targets small businesses, but it works very well for medium-size enterprises too. At this price, you also get access to their full range of features. You can take advantage of their 2-week free trial if you’re unsure about whether to commit. You can cancel at any time if you are not satisfied without having to pay a penalty, because you don’t sign a contract with ShopKeep. Few people can say anything bad about ShopKeep’s apps. Some have complained about insufficient features, which has grown steadily over the years. This retail POS system enjoys a stable base of loyal customers who intend to stick with ShopKeep. If your inventory is large (over 10,000 items), ShopKeep probably isn’t for you. Designed with small specialty vendors in mind, this system has solid inventory features, but they’re best suited to more limited inventories. Revel Systems was founded in 2010 and is currently in use by over 20,000 businesses and was awarded best iPad business app of 2012. The company's goal as a POS provider are to streamline functionality in the form of a hybrid iOS, while blending with cloud-based functionality and security. Revel’s designs seek to implement a mobile POS that is both modern and cost-effective. Revel POS runs on iPad and offers a versatile, multi-location set of features with specific retail packages that offer mid-sized to enterprise level capabilities. Revel does not make contracts and instead is delivered on a month to month fee basis. Revel is very customizable with payment and mobile ordering and online options. Revel can either be ran on a local server or via the cloud. This hybrid system gives dual benefits, the mobility of the iPad with the safety of the cloud. This makes it great in terms of security, but also reliable in times that the internet may be unavailable due to power outages or other mishaps. Revel is boasted as being intuitive to use and offers customer service 24/7 by phone, email, and live chat. Revel’s customer service has been highly rated by their customers and they are known as one of the standouts in this category. Revel also has an always-on feature, which allows users to continue doing business even if internet connectivity isn’t available. Revel is a very feature heavy application, offering real-time inventory management and tracking, business progression reports, flexible ordering options, and a large number of possible integrations and add-ons. However, Revel is a bit pricier than similar competitors on the market. Additionally, users must also give Revel a 30 day notification of termination or incur extra fees. Some users have also complained about the limited customization options. A long set-up process has also been a problem with some, so it may not be ideal for businesses looking to get a POS off the ground in a hurry. While Revel was initially geared toward other style of businesses, it recently has made strides to enhance its competitiveness in the retail POS market. Epos Now is a fast-growing UK based POS software that launched in 2011 with the idea of taking full advantage of cloud-computing capabilities. Currently, Epos Now has spread to over 100 countries and serves 30,000 business on a daily basis. Epos Now’s cloud-based software not only has clout as an easy to learn and reliable POS, but also has other functions like inventory management tools, accounting, stock management, and online store integration. Supported across all platforms, Epos Now is an ideal POS for small to mid-sized businesses. The universal Epos Now even claims that a staff member can be fully trained in a less than 15 minute session. Epos Now is subscription based, but software can be purchased in one upfront cost. It’s heralded for its ease of use and comes with built-in features like remote management, expansive back-office information tracking, and modifiable security level control. Epos Now’s customizable dashboard ensures a UI that meets staff needs. Basic services start at $39 per month, and there is also a 30 day free trial available. Real-time reports on prices, products, and even employees can be checked on any device with cloud access. Epos Now also has great barcoding promotional sales and online store integration capabilities, which along with their top-notch security (which is outsourced through Amazon Web Services) makes Epos Now a great choice for retailers with a large online footprint. Who Is Epos Now Ideal For? Epos Now is primarily geared toward small to medium sized retail businesses, so it may be missing some bigger features that larger retail operations need. Some users have also reported that the customer service is lacking, but this could be because technical support is an additional feature that must be purchased as a package. Others found some of the discounting features to be not as extensive as they would have liked, but with Epos Now’s intuitive UI, easy-to-learn training, and expansive cloud services, these shortfalls could be overlooked. Clover POS was launched in 2013 in Mountain View, CA. Since its inception, this company's goal was to provide an easy to use point of sale solution. Out of the box, it has quite basic functionality, but with additional apps from its marketplace, this software can be quite powerful. With these additional features, you can schedule employees, enter customer data, create custom reports, as well as track inventory and revenue. Clover was acquired in 2012 by one a really big company in the credit card processing industry, called First Data Corporation. Naturally, it makes sense that Clover Station is always coupled with a merchant account. You can get Clover Station at more than 3,000 banks in the US, including Citibank, Wells Fargo, and others. From a quick glance, Clover may seem like the best POS system for a retail business. It’s packed with features, easy to use, and quite functional. However, many current users are not happy with the service, mainly because of the merchant processor First Data. Also, you have to pay for hardware out of pocket initially, while other POS providers offer hardware at no cost. However, similar to square, if you have a small to medium sized operation, they offer an easy and quick service, without having to deal with long setup times. Clover's pricing is different than other POS systems, mainly because it has to be sold with a merchant account. This may seem like a major drawback, but if you have a good relationship with your bank, you may be able to negotiate your swipe fees and the cost of hardware. Even though many different banks sell the Clover product, the rates for it don't vary too much. The terminal and the hardware that goes with it can be purchased for around $1,000; however you have the option of leasing it with some banks. Swipe fees for your credit card processing is what matters most, since you'll be paying on every transaction and for as long as you use Clover's merchant processing. As far as the rate goes, you're looking at 0.30% + 5¢ to 2.5% + 15¢ or more, depending on which institution you end up buying from. Try to negotiate for flat rate pricing, if possible. Of course, the rate you'll be able to get or negotiate will depend on your credit score and how much business you process every monthly. Easy & Quick Set Up: Clover Station is all about its user-friendly interface, which is a significant factor in its popularity. It comes with a pre-loaded, straight 'out of the box' and so there are only a few tweaks you have to make. Almost No Learning Curve: With just 15-30 minutes of basic training, employees can figure out Clover and its easy to use menu. Many apps that run reports and track inventory are self-explanatory and can be found easily with one click. The great benefit that comes with Clover is how seamlessly its hardware integrates with the actual POS system. For various business owners who used Clover, the answer was simple; no more guessing games. Clover's touchscreen monitor is durable and will look great in your store as it's quite visually appealing. User Interface: Clover's interface is really plain, but easy to use. As we mentioned before, its basic functionality can be upgraded with its many apps. The minute you launch an app to add more features, you will notice a status bar with a content area. This will lead to the app's main function, where you'll notice a barcode scanner, and an icon to return home or to access the most recent apps. Apps: Apps do pretty much everything in Clover. As a POS provider, Clover is very ideal for retail because it has customized bar functions, ability to process refunds fast, apply discounts, manage employees and their schedule, and process inventory management. With more third party apps you can also process gift cards, send emails to your loyal customers, integrate eCommerce, and more. Orders: The best way to add an order is by searching for it on the menu or by typing the product name in. When needed, it’s possible for your employees to customize an order; and if you run a food establishment, custom orders need to be sent to a set kitchen printer. If you want to apply a discount, it can only be done through the register app.However, adding new items or apply discounts in the menu is possible, if you have that level of access. If the employee doesn't have such access, the manager can authorize the transaction. Payment Options: Clover's POS station can process checks, credit credit payments, debit charges, and of course collect cash. If you need to accept secure EMV payments; Apple Pay, Android Pay, and others, you’ll have to buy Clover Mini or the Clover Mobile device. Inventory: Adding inventory in not as easy as it is with some other retail POS systems, but still not that difficult. You'll have to download a spreadsheet, open it in Excel and enter the price per item in the respective field. Also, you'll have to enter the item's name, how many units, price type, tax rate, your cost, and the barcode ID or SKU number. Finally, you'll enter the quantity or any other identifying data. If you need to enter a certain size or color, this is also possible and actually quite easy to do. Reports: Clover's Station app offers pretty solid reporting tools, including their popular “By Payments” report which display an overview of every single transaction you processed for that selected time period. Also, you can view reports for how you generated the revenue; how much cash and credit you collected. Finally, you can view how much taxes you paid and what discounts were applied by employees. Sort reports by time or date, and if needed, it can be exported into a file or printed. Retail Pro has been built from the ground up to meet specialty retail needs in terms of point-of-sale specifications. They have been in the retail software business for over 25 years, and are trusted by over 9,000 customers in over 128 countries and 54,000 stores. The company is headquartered in Folsom, California and serve some really big brands such as Toys R Us, Adidas, and Calvin Klein. Retail Pro has some pretty robust built-in e-commerce capabilities, allowing businesses to manage their online store transactions, which is an ideal feature for online or hybrid-style brick and mortar stores. Added to the fact that this software runs on pretty much any hardware in existence, makes it a very powerful and versatile POS system. If you run business on a hodge-podge of electrical devices and don’t want to spend an arm and a leg to buy new ones, Retail Pro may be for you. The customizable UI is another great feature which enables the user to redesign the interfaces to meet a variety of needs. This can further expedite transactions for a better customer experience. Retail Pro offers both local and cloud-based versions of their software (Retail Pro 9 and Prism), as well as offering different plans for small businesses all the way up to global enterprises. The ability to blend together multiple store locations is one of Retail Pro’s strongest selling points. Retail Pro has over 800 online training videos, which can either be seen as an amazing resource or indicative of an overwhelming system, depending on how you look at it. 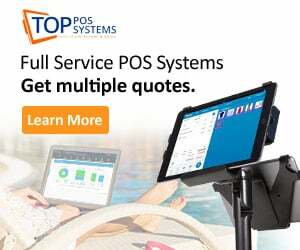 Given its multi-store connectivity and high customization options, Retail Pro is a great (albeit pricey) POS solution for larger corporations. However, some users found Retail Pro a little hard to use at first, and the locally installed version has been said to be a little outdated. In addition, other customers have noted the UI as being a bit clunky and may take some time to get used to. The price is also an investment that must be considered. It’s advised to use Retail Pro’s free demo to make sure it is a good fit with your business, before making the decision to purchase the full service. Based in Austin, TX, SalesVu is an independent cloud-based, retail POS system that offers payment processing as well. It doesn't matter if you have a clothing store or a food truck operation, SalesVu is still a solid choice. SalesVu reputation comes from the flexbility of its actual software. Just like the name, SalesVu helps you sell more. It has excellent marketing features that aim to help you make more money. While it doesn't work as well offline, it can still process basic functions when you don't have an Internet connection. Overall, it has a simple look, yet you can customize the appearance of this point of sale system to your liking. The pricing structure for SalesVu is a bit complicated. While the actual application is free, you have to pay a monthly subscription fee, which will depend on the version of POS system you choose. While the pricing is pretty competitive when compared to other providers, there are just too many pricing plans. We noticed at least 10 plans, and one might get confused when choosing. Plans start at $25/month, all the way up to $150/month. Of course, the actual costs at the end of the month will depend on how many transactions you processed and your volume of sales. We strongly recommend speaking to one of their salespeople to ensure you select the best plan for your business. SalesVu is made up of two different segments; their front-end which operates the POS and payment processing, and the backend area where one can tally inventory, manage employees and reports. The backend is accessed by logging into their website, as it is cloud-based. This way, you can review your activity and transactions in real-time from anywhere with just an Internet connection. Both interfaces are quite user-friendly. When we looked at the demo with a SalesVu rep, we looked at the management section and were able to play around with the back-end features. We felt there was a lot you can do with just a few clicks. If you access the checkout screen, you can see the products you're about to sell and which category it belongs to. Another great feature from SalesVu is the ability to add custom images of products and color-code your buttons for a better experience for your employees. SalesVu has more features than even some of the more popular POS systems on this list. Some features we really loved include customer invoicing, recurring billing, allowing customers to make their own table reservations, and the kiosk feature which lets guests order food from their table. Processing payments credit cards, cash or check. Split payments for larger parties. Split checks by seat, product, or even item. 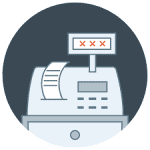 Email digital receipts to customers with all the sales data or simply print to any printer in your establishment. Customize your receipts and add your company logo and slogan or message. Monitor incoming cash with an option to deposit it all into a safe, count cash on hand, and closing out shifts. Look up items swiftly by entering SKUs or by scanning a barcode. SalesVu customers can reach customer support through various channels. Email: You may email support at support@salesvu.com. This is probably one of the fastest ways to get support. Based on customer reviews, you can get a response within a few hours during non-standard business hours. We were told that usually you'll be able to resolve your issue with just one email. Phone Support: The company also offers a direct number, which is pretty cool because not all POS providers offer that. It seems to be 24/7 as well. Online Portal: If you're signed up to the account portal, you can first look for a question similar to yours. If you can't find it, submit a ticket which will get a timely answer. Live Chat: The final option is the live chat. You can reach a support specialist in minutes. They may, however, have to forward your request to tech support if that's what you need. We believe that overall, Vend is the best retail POS system out there. It’s a great choice even for non-retail establishments, such as bars and restaurants. Given its relatively high price, Lightspeed is better-suited for larger businesses. Small businesses with few employees, limited product selection and a single location may find that ShopKeep will best suit their needs. Vend, however, is a bit more suitable for a growing business. Shopify is more ideal if you want to integrate an online store with your traditional store quickly and easily. What do you look for in a retail POS system? share with us below!